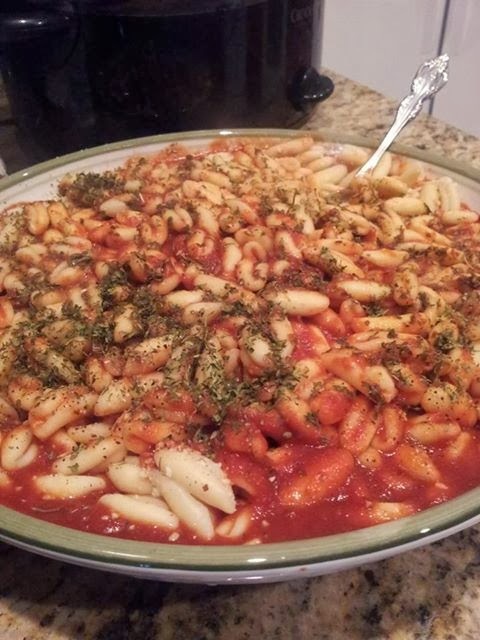 This is a pasta everyone loves in our family. 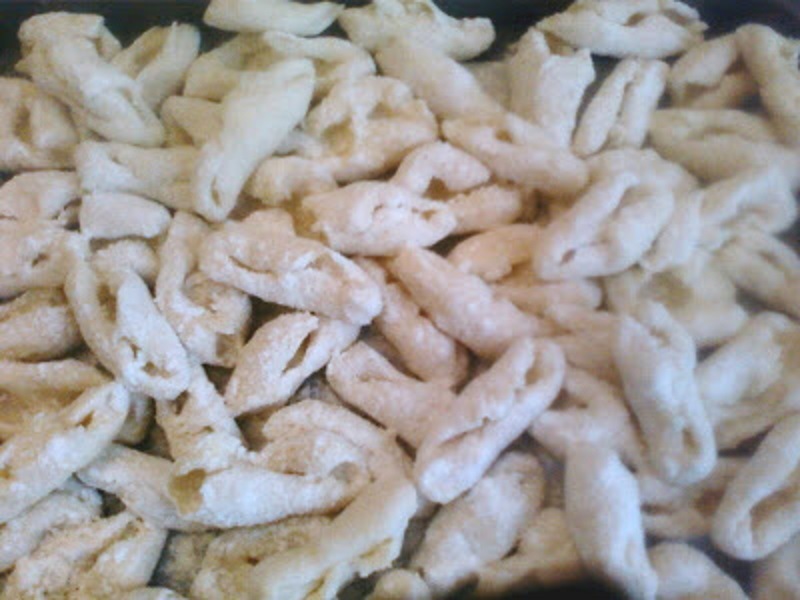 Cavatelli are light made with Ricotta cheese and flour. Easy to make and delcious with your favorite Italian sauce over them. 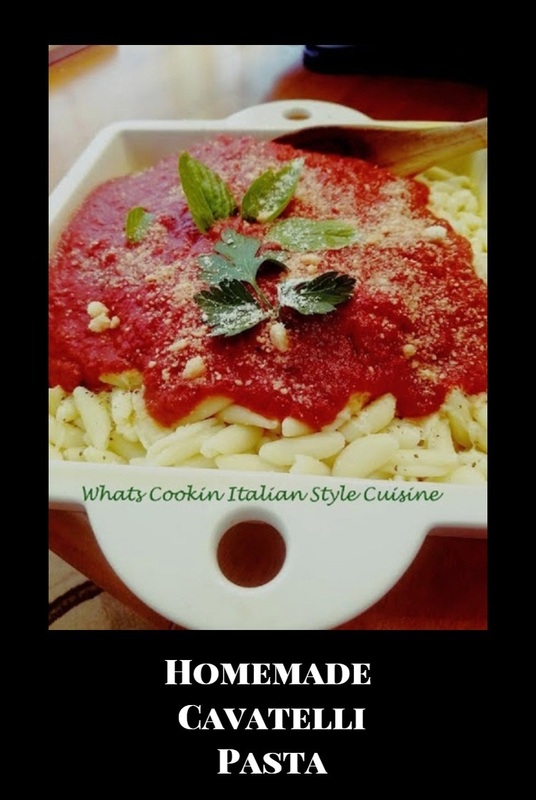 This is one of my favorite homemade pasta recipes that mom taught me how to make. This pasta made fresh is always asked for by the family every time we get together. Tt's their first choice of any kind of macaroni we make from scratch! When cooking fresh, cavatelli are done when they float to the top of boiling water. Frozen cavatelli will take more time but they will float to the top when done also. Serve with favorite Sunday Sauce or they are very good with olive oil and garlic and steamed broccoli over the cooked cavatelli . Put 2 1/2 cups of the flour into a bowl and make a well in the middle. Add 2 eggs and the ricotta cheese and incorporate the flour into the eggs and cheese. Knead the dough until a soft not sticky dough is formed. Cover the dough in plastic wrap and let rest for at least 30 minutes. Roll out on board using more flour not to stick, and make long ropes. Cut into one inch pieces, then onto floured board with index finger and middle finger roll each piece towards you to get the roll of that thin center cavatelli. It will take a few tries to get that right. Put in a lightly floured pan. As they fill up in the cookie sheets, place whole pan in freezer, then store in freezer bags when completely frozen and refreeze until needed.